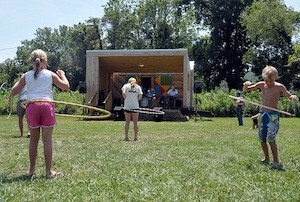 Fun at the Watauga Riverkeeper Festival! The word on everyone’s mind after the first ever Watauga Riverkeeper Festival: Success! Kids and adults alike came out in droves to celebrate the beautiful mountain rivers of Appalachia at the Valle Crucis Community Park on Saturday. 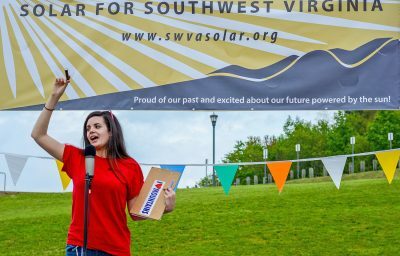 The Watauga Riverkeeper and Appalachian Voices worked together to create a family-friendly event with plenty for kids (and adults) to do. Between the arts and crafts, hula hooping, make-your-own trail mix, poker run, nature walks, face painting, costume parade, and beautiful weather, people of all ages had a day full of fun in the sun. There was even a watermelon-eating contest, with a messy twist – contestants had to keep their hands behind their backs for the duration of the contest! Musical entertainment was provided by the Alberta Boys and Melissa Reaves, both of whom had the crowd excited about the mission of the Watauga Riverkeeper and Appalachian Voices. The festival featured local foods, including homemade slaw and tomatoes straight from the garden of Appalachian Voices’ own Willa Mays. The festivities concluded with a raffling of items donated from supporters of Appalachian Voices. All proceeds from food, T-shirts, and raffling will go to support the Riverkeeper and Appalachian Voices in protecting the mountains of Appalachia and their rivers. Special Thanks to Mast General Store, Earth Fare, Foscoe Fishing, River and Earth Adventures, and all the volunteers who helped to make the event possible. Be sure to check out photos from the Festival! We all know that people down south love their “crawfish boils”, where crayfish (more colloquially called crawfish or crawdads) are seasoned to delicious tastes and eaten en masse. But crawdads aren’t just an important staple of a southern diet; even more importantly they are a staple of rivers and their ecology. 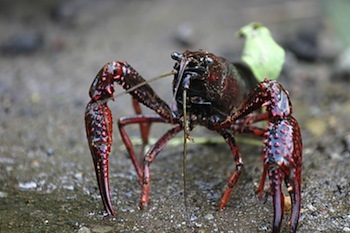 The largest diversity of crawdads in the world is exhibited right here in the southeastern United States, with over 330 species populating the waters. Relatives of the lobster, crawdads are freshwater crustaceans of the order Decapoda. This means they have ten legs, one pair of which is a set of large, sharp pincers. When cooking up some Louisiana crawdads, we might not think about what they eat at their parties. Crawdads generally feed off of small aquatic creatures, living and dead, and plants. This diet provides important ecological processes to keep rivers healthy. One important note: Crawdads are very sensitive to changes in river health. Most crawdads cannot withstand water pollution of any kind, so it is important to keep the waters fresh for our crustacean friends. Every year, 129 million tons of coal ash waste is produced by coal fire power plants in the United States. This toxic fly-ash is made of fine particulates and heavy metals that pose a growing threat to the environment and public health. 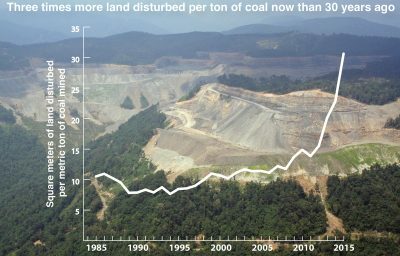 Yet, the EPA has allowed coal ash waste to be reused in agriculture, construction materials, consumer products, concrete, and even mine filling. Ash that is not reused is stored in billion-gallon ponds, known as slurry ponds, or dumped in landfills. In late June the EPA proposed two regulation standards for coal ash waste under the Resource Conservation and Recovery Act. The more stringent option, Subtitle C, would classify coal combustion waste as a hazardous material; however, beneficial reuse would not be regulated under either EPA regulation option. 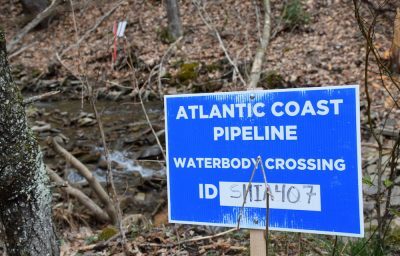 The EPA is currently accepting public comments on the proposed regulation, which you can submit here or through Appalachian Voices in the near future. 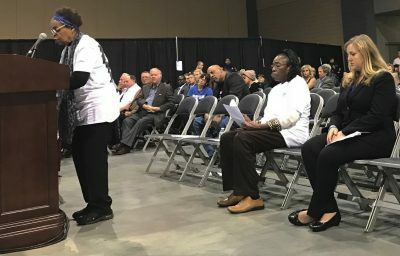 PEER also uncovered the EPA using coal industry research as basis for promoting the reuse program, and filed a formal complaint this month over EPA publications that claim coal ash reuse is a form of reducing carbon dioxide emissions. “We suggest that EPA use this opportunity to honestly review the entire range of potential public health and environmental effects of injecting millions of tons of unquestionably hazardous materials into the stream of commerce,” stated PEER Executive Director Jeff Ruch. Downplaying the disastrous consequences of the TVA ash spill is impossible, as is denying coal ash’s threat to public health. 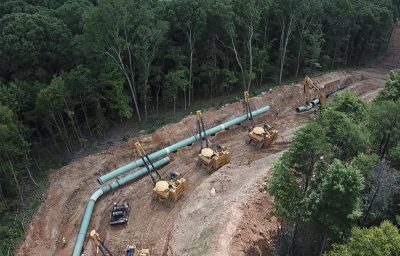 Through further regulation and dismissal of the “beneficial” factors in coal ash reuse, coal companies may finally begin to pay the real price for an outdated fuel source. Junior Walk of Coal River Mountain Watch joined me on the recent Pennsylvania Appalachian Treasures Tour. 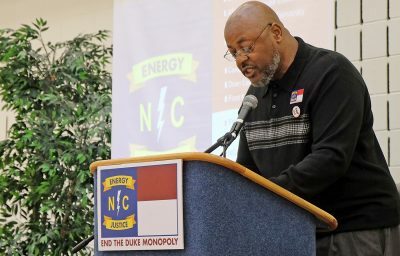 Junior is from the Coal River Valley, attended Marsh Fork Elementary School, worked at prep plant, and was a security guard on a mountaintop removal mine. Oh, and by the way he is only twenty years old. At all times Junior presented his story with eloquence, confidence and a certain inherent honesty that overwhelmed the audience. He was a delight to travel with, and I felt privileged to share the stage with him. Approximately 100 hand written letters addressed to Senator Specter were generated at the presentations that Junior spoke at. As you all know Senator Specter is seen as a pivotal vote on the EPW committee. The bog turtle is the smallest turtle in North America. As a full grown adult, it maxes out at three to four inches! They are easy to distinguish from other turtles, clad in a dark-brown shell with a distinctive red, orange or yellow blotchy marking on either side of its neck. This reptile is no picky eater. Bog turtles are omnivorous, snacking on everything from worms, snails and beetles to berries and seeds. Bog turtles prefer to live in wetland areas, such as wet meadows, fens and bogs. Occasionally, though, there are sightings of bog turtles roaming around in cattle pastures. 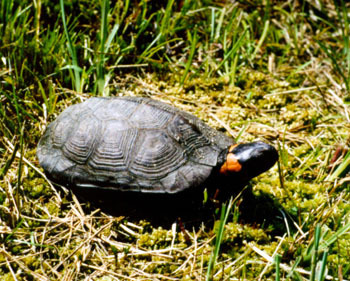 The bog turtle often lives about 20-30 years, but has been known to survive for over 50 years. You can tell how old a bog turtle is by counting its rings on its scute, a section of its shell. Each ring is a year, minus one ring that develops before the turtle is born. Bog turtles are threatened by destruction of their habitats, particularly because of human development. An illegal trade that captures and sells them as pets is also a major threat to this species. Keep a sharp eye out while you are enjoying your afternoon at the river, bog turtles are difficult to spot. They are rare and spend most of their time underwater, nestled in the mud or hiding in thick vegetation. They do like to lie out in sun and they are most often seen after periods of rainfall. So this week’s rainy days might help out your chances at catching a glance of this elusive tiny turtle. As human beings, we dream of getting on a Kawasaki Jet Ski and flying through the water at breakneck speeds. But for Dragonflies, of the order Odonata, every newborn gets this ability built-in, with a natural water propulsion system that helps it shoot across the water without even moving its arms or legs. 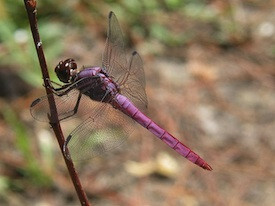 What most people don’t know about the Dragonfly, of whom we usually think as a large and colorful insect that flies quickly around the skies, is that it spends the majority of its life in the immature nymph phase, swimming around in the water rather than the air. Dragonfly nymphs are hatched from eggs in water, and spend up to five years developing and feeding off mosquito larva in streams and rivers before taking off into the air. They have an extremely unique system of respiration, breathing through a set of posterior gills. To create the Jet Ski propulsion system, Dragonfly nymphs rapidly expel water through their anuses; no wonder scientists dubbed this the “immature” phase! As if that isn’t fun enough, the nymphs also wear a beautiful set of armor that, depending on the species, can be a variety of vivid colors. Whether it’s shooting through water with a built-in Jet Ski, wearing a full suit of armor, or flying around the air eating anything that gets in your way, being a Dragonfly sounds like every kid’s dream!